I was so incredibly excited about the Urban Decay Gwen Stefani collaboration. Not only do I love Gwen, who doesn't? I also LOVE eyeshadow. 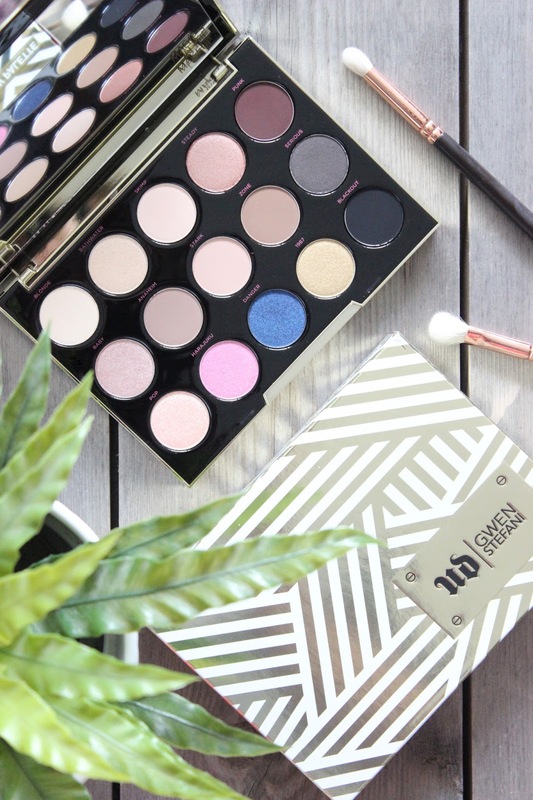 Surprisingly the Gwen Stefani Eyeshadow Palette is Urban Decay's first celebrity collaboration and it didn't disappoint. The limited edition eyeshadow palette boasts a mix of daytime wearable and bright shimmery shades, so it was no surprise that over 5,000 people signed up to be notified of it's release (me being one of them!). The eyeshadows are encased in a rather beautiful, yet funky gold palette with a huge mirror. 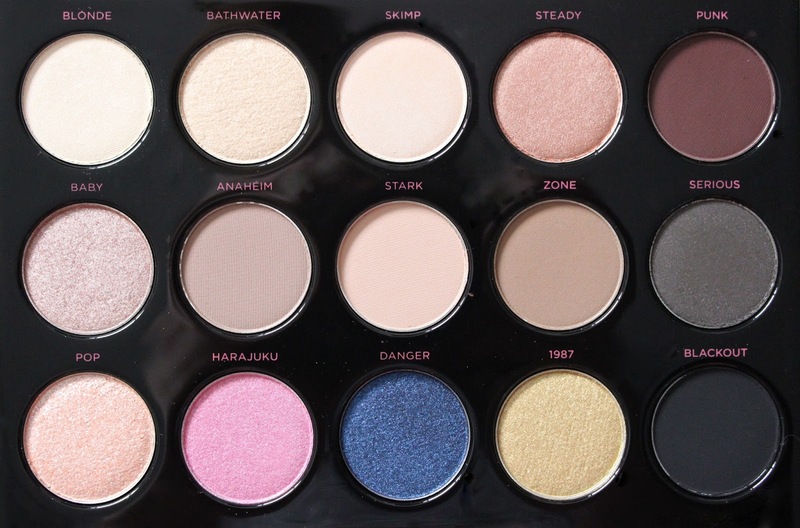 And inside are 15 shades; an array of matte neutrals, brights and darks. Just 3 shades are repeats from the original Urban Decay Naked Palettes: 'Skimp', 'Stark' and 'Blackout' and the other 12 are completely new to the palette. 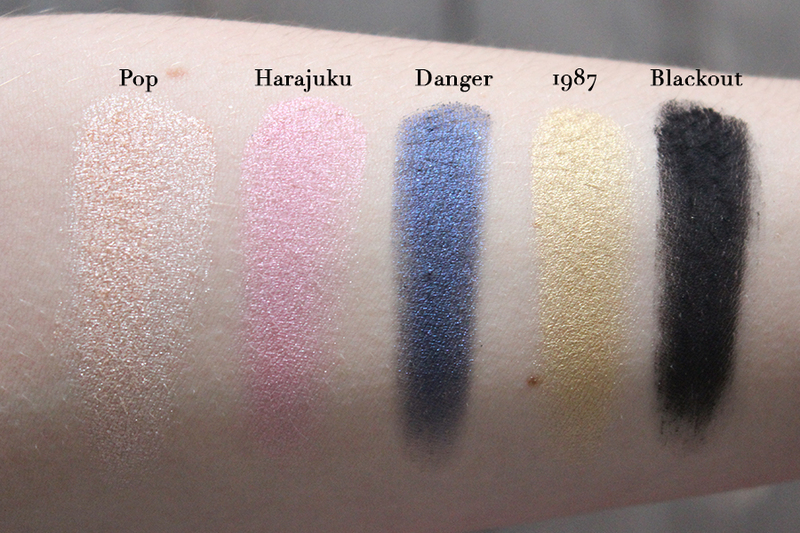 I love the addition of the 3 bold shades 'Harajuku', 'Danger' and '1987', although it would have been nice to see a purple perhaps? 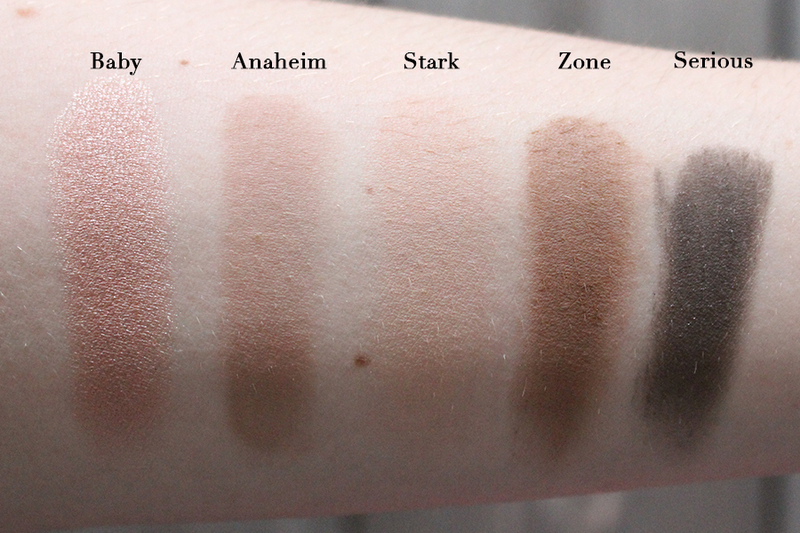 However, the palette has a variety of warm and cool toned eyeshadows and sees the much-required matte transitional shades 'Anaheim', 'Stark' & 'Zone', which more often than not other eyeshadow palettes lack. The eyeshadows reflect the same quality and formulation as previous Urban Decay palettes. 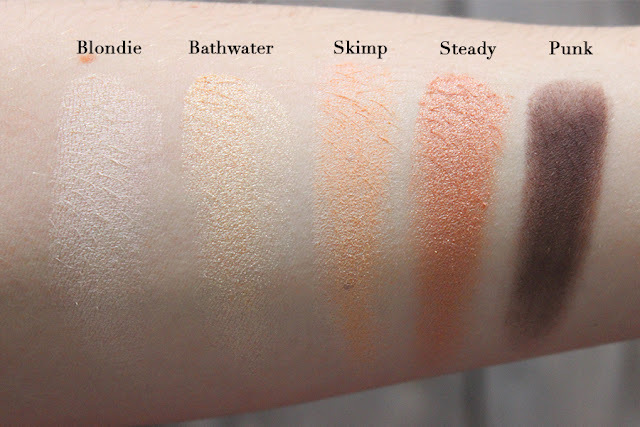 The majority of shades performed very well with and without a primer and are highly pigmented. 'Pop' is the only shade I experienced any fallout with, due to its chunky, sparkly nature, but a spritz of MAC Fix+ does the trick. And the shade 'Skimp' in particular has a seriously smooth buttery texture. Overall this eyeshadow palette is pretty darn good and packed with essential shades. And it's great for girls with pale-medium complexions. If you're yet to buy a Urban Decay NAKED palette, or like to collect eyeshadow palettes like myself, don't speak and buy it now before it's no longer available! It's available online here for £40.00.